Public Bulletin A park pass is required all year for hiking or use of other services in the park; park entry fee applies. Check in at the Parks Canada Visitor Centres in Chéticamp (16 Visitor Centre Rd., situated on the west side of the park) or in Ingonish (37637 Cabot Trail, on the east side of the park) to obtain passes, information on visitor safety and any other information you may need, including a trail location map. 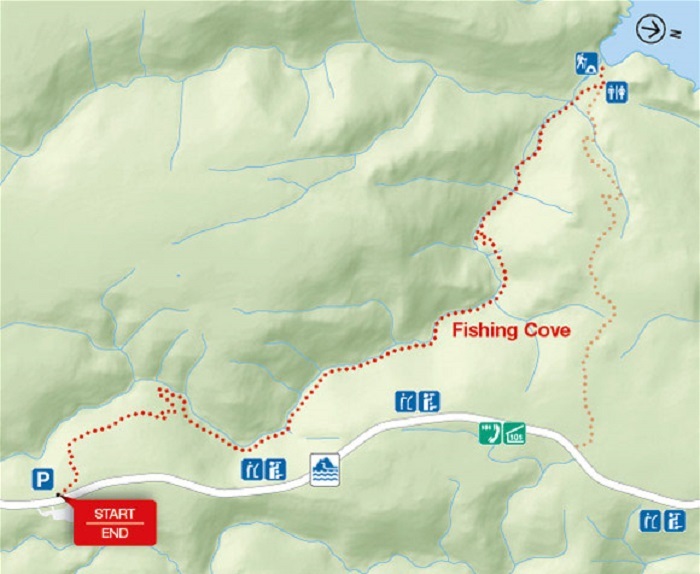 The Fishing Cove back-country camping area is an 8 km (5 mi) hike down to the rugged coastline cradled at the base of MacKenzie Mountain. A grassy hillside, a cobblestone beach and a river complement this camping spot. 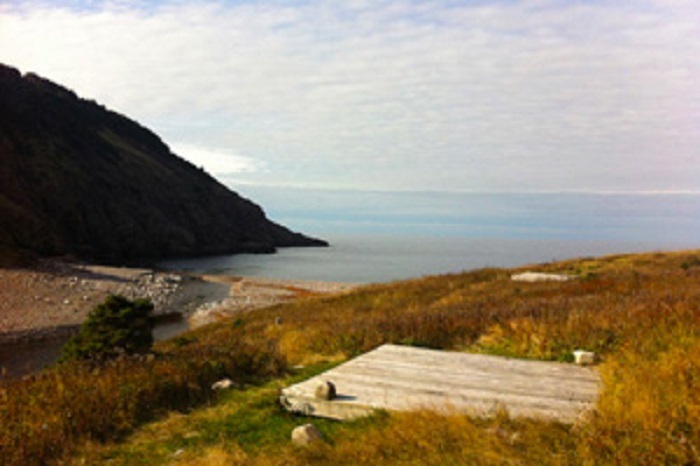 Campers are required to register for a back-country permit at either the Chéticamp or Ingonish Visitor Centres, bring a camp stove (no open fires allowed), pack out all garbage (no garbage receptacles) and bring their own drinking water. Potable water is not available on site. A 4 km (2.5 mi) return trail is also available. Eligibility Terrain to the campground is rated as difficult.